Nair Vs Shaving - The Controversial Showdown of Which is Better! What’s The Pros Of Using Nair? Any Cons? Does Nair Have Side Effects? Q: Does Hair Removal Cream Work on Stubble or Does Nair Permanently Remove Hair? Q: How Long Does Nair Hair Removal Cream Last? Q: How Often Should I Use Hair Removal Cream? Q: But How Do You Soothe a Nair Burn? Q: How Long Do Chemical Burns Last from Depilatory Creams? Q: Can You Use Hair Removal Cream on Your Pubic Hair? Q: Is Nair Safe During Pregnancy? Plenty Of Information – Make Your Judgement! So you’re looking to have a bit of you time, a bit of a clean-up, got a big night coming up maybe? You’ve done the three date rule (you go, girl!) and you’re going to dress to impress. Dress up until it’s time to glam down! But how do you feel about your grooming routine? Is it too time-consuming? Arms, legs, wherever and whatever you want to be done, how can I make this a timely activity? That’s why we’re here with the controversial debate of Nair vs shaving! Depilatory creams vs shaving – it’s a real battle for glory! I mean both come with pros and cons, but does Nair really last longer than shaving? Is Nair the same as shaving? Let’s have a look and see if we can help you decide which one you want to go for. Nair – perhaps the name represents no hair, CLEVER! Nair comes in many different forms: sensitive formula foam, shower foam, scented cream and more. If you want specific Nair examples then read this article about Veet vs Nair, it’s the ultimate showdown of both brands. How does Nair work? It has chemicals which dissolve the hair itself. Normally it’s applied in a thick amount, wiped over the desired area, and left for a couple of minutes, depending on how long it advises. Hold on, is it safe?! Yes – But you have to be aware that the chemicals being used could potentially give a reaction if your skin type is sensitive. Check the instructions before you use it, and test a small amount on a smaller patch of skin so you can see if your skin will take kindly to it. Nearly all will, but we have to be kind to our skin, don’t we? We only have one body after all! Maybe be more cautious if it’s an ingrown hair, if your skin is already irritated, it may not want to poke even further the follicle that’s already struggling! Think sensibly about how your skin is doing – that’s the general rule of thumb. Let’s have a look at the pros and cons of hair removal creams. I mean you could go out and buy an expensive shaver, you could buy a dozen razors and give yourself a prolonged amount of time to get every last hair you’re aiming for like the perfectionist you strive to be. Although, for small areas like the armpits, if I’m in a hurry, I’d just grab a good razor for sensitive skin. Or you could buy some hair removal cream and – excuse the pun – will quite literally shave minutes free for you in the day. Time is precious, and I think you’d rather be doing better with your time than getting neck ache in the shower trying to get that patch of hair on the back of your legs that you can’t quite get to. Do hair removal creams make hair grow back thicker? Not always! The difference between shaving and hair removal cream is that your hairs will also grow back thinner. 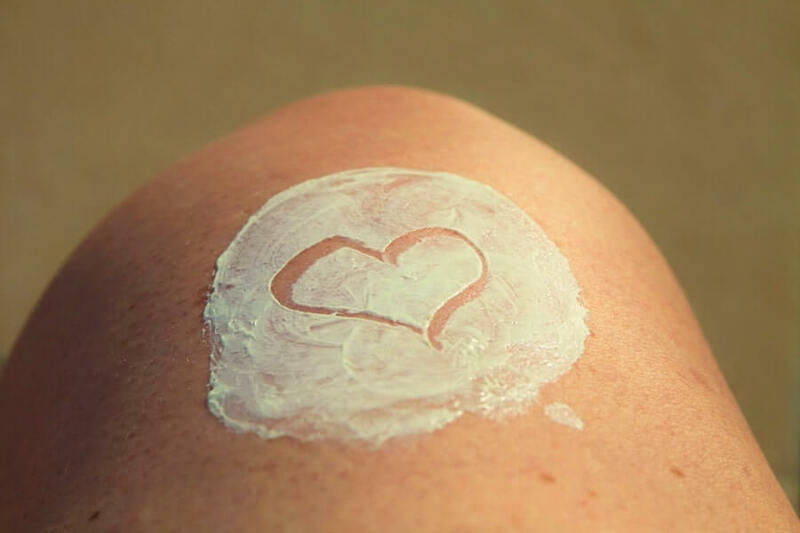 So, in the long run, it may boost the confidence a few days on when your hairs aren’t quite as dark compared to shaving them so does hair removal cream last longer than shaving – yes, yes it does. It does have a strong chemical odor, unfortunately. I’m sure the manufactures worked long and hard to get such an effortless product, but it won’t come without some slight disadvantages! I mean, saving time is already a completely attractive concept, even if you think the time is a ‘made up thing’ it’s still ticking, buddy! The only con may be a reaction to your skin due to the chemicals, again be sure to do a small patch test on yourself to find this out. We’ve touched on the use of underarms and legs, but how long are you supposed to leave Nair on? And on your face? Just remember that your face is very delicate, sensitive, and YOUR face after all. Imagine having an adverse reaction on that gorgeous face. It’s completely up to you, but it comes with a big, red-taped caution! How often can you use Nair on your face will depend on how well your patch test goes really. If you’re not getting any reactions then go ahead for the supplied amount of time! Please don’t believe others saying that with a long period of use maybe Nair will permanently remove your unwanted hair. Unfortunately, that’s not how it works, friend. Let’s get that brain educated a little further before you delve into the world of hair removal cream! Well thankfully, I also have some answers! It hasn’t really got much hair to work with, so it would work with longer hair than stubble. There would be nothing to wipe away with a wet cloth after you’ve applied it. Because it applies to areas under the skin it would definitely not be a permanent solution, unfortunately! It can vary from 3 days to a week! This is great news because you won’t have to worry about it growing back unlike feeling as if you have 5 o’clock shadow on your legs 6 hours after shaving them! Perhaps give yourself a few days break if you can, as it will be chemicals settling on your skin for 3 or so minutes at a time. It doesn’t seem like long but if you leave it any longer you may find yourself asking ‘Ouch, is Nair supposed to burn?’ Nope! Be sensible! Quickly wipe away the cream with cold water and pat it with a damp cloth and put a layer of antibiotic cream to help your skin heal quicker. If it isn’t getting better, consider seeking medical attention immediately. It’s different for everyone, it could be a few hours to a few days, to possibly a few weeks depending on the severity of the burn, unfortunately. Sure but just remember that’s a super sensitive part of your body, and you would NOT like it to be going in anywhere it shouldn’t be. Nair has an enhanced acidic value so it may upset some nether regions! There’s no scientific evidence that the chemicals in Nair can be bad for you, but I would definitely ask your OBGYN before even testing in on your skin. So there we go, some information to consider, and some time to be saved! Hair removal is always going to be a long journey for us but Nair Vs Shaving is all down to preference at the end of the day. Would you use Nair? Have you used it before? Let me know how it went and if you have any tips for your fellow Nair Heroes and here’s to more free time!